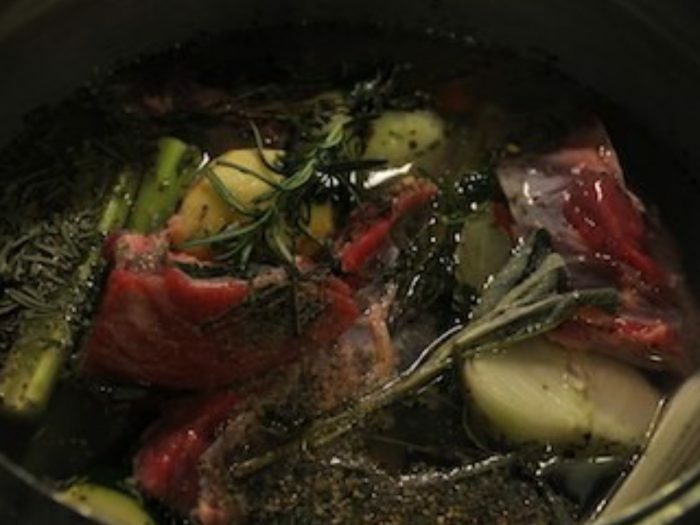 Lesso (Bollito)By Alyssa SaltzmanWhen one thinks of "Comfort Food" in Central and Northern Italy, "Lesso" (also known as Bollito) is high on the list. It is warm, light, and incredibly healthy. It could be best compared in terms of comfort to how we see chicken soup -- Not feeling well? Have some Lesso. Want to keep it light? Have some Lesso. But it is Italian, so it can be so much more. It can be light and healthy, or rich and delicious... it all depends on how you serve it.